We think of ourselves as a simple painting when in reality we are a masterpiece like the Mona Lisa! God put though, time, love into creating you! God created YOU with personality, talents and traits for a purpose. To make you interesting, to make you different and he created you with a purpose. He put thought into you. He knew what you would need to fulfill his ultimate purpose for YOU here on earth. If God created you for a purpose, then you can’t fulfill that purpose without God. Each of you have a part to play. In my life. In our church. I can’t do what God called you to do. I can only do what God called me to do. I can pray for you. I can be what God called me to be so you can be who are supposed to be. The body of Christ is made of many parts… When all are working together, doing what each of us was created to do, amazing stuff happens. • You are God’s Masterpiece! 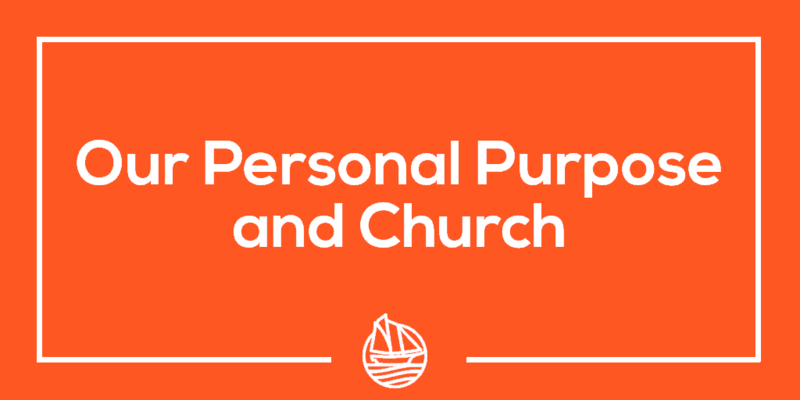 • You will only fulfill your purpose when you have an ongoing, growing, personal relationship with God. What steps can I take to fulfill the purpose God has created me for? God won’t let you down. If you pursue him, you will find your purpose.